In my work with clients, there is a perennial mantra my clients hear from me….”Take time to reflect”. The distinction between good leaders and great leaders is the commitment to curiosity and reflection. 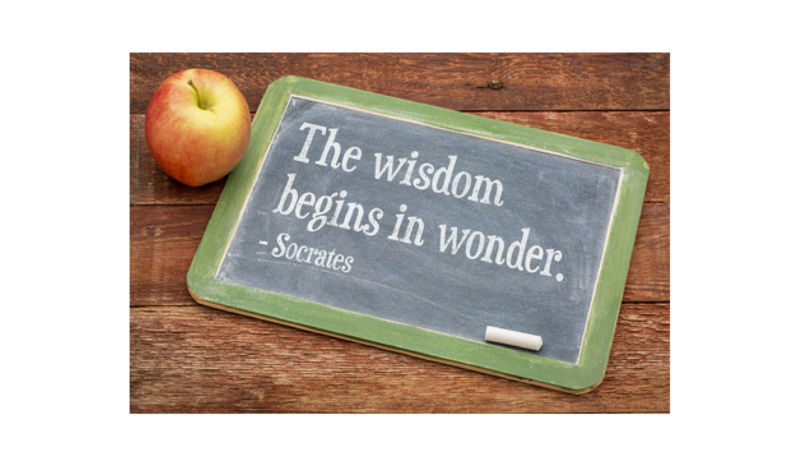 So is the path to wisdom. Wisdom takes us beyond knowledge and into understanding and compassion. In our business, how often do we go through our day without a single thought about the learning and wisdom that is in each experience of that day? It is in being curious about, wondering about, sitting with our experiences and reflecting on our behavior in those experiences from which wisdom and meaning grow. Carve out 20-30 minutes at the end of your day this week to take a step back and be curious about your reactions and responses as well as those of others. Reflect on the top 2-3 insights gained. How do those insights feed a deeper understanding of yourself and the world around you? How might they influence how you show up to your work and your life?